The 2013 NBA Draft lacks a true franchise player and teams drafting in the late lottery could end up with a better player than teams drafting in the top 5. But what this draft lacks in top tier talent it makes up for with good depth and a lot of this depth is made up of international players. 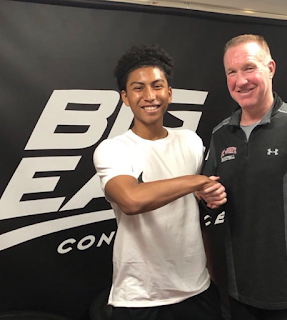 After one year for the Runnin' Rebels Bennett is making the jump to the NBA and could be a top 5 pick. The Canadian power forward is a bit undersized but makes up for it with very long arms and exceptional quickness. He reminds me of a more powerful and more explosive version of Paul Milsap. Expect big things from Bennett in the NBA. 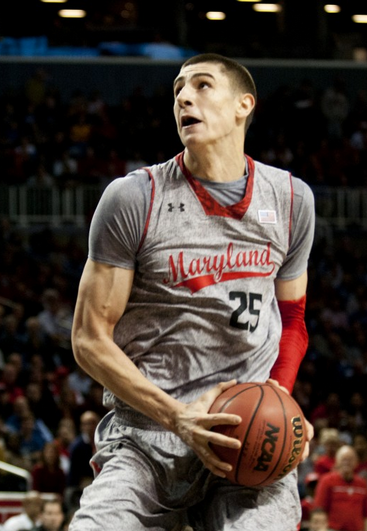 Len has been in the United States for a few years, playing two years for the Terps. He is the best true center prospect in this draft and has all of the physical tools to be a very good NBA player. At 7-1, with a solid frame, he should continue to add muscle and has a chance to develop into an All Star center. Centers are hard to come by and so I'd expect a lot of interest in Len in the top half of the lottery. Another talented Canadian baller, Olynyk "the clinic" is as smooth and as talented a player as you'll find in a seven footer. He has a feathery soft touch and a knack for scoring the ball. He gets up and down the court fairly well but won't blow you away with speed or quickness. Instead Olynyk uses his height, great shooting touch and good basketball smarts to fill up the stat sheet. Olynyk could be drafted has high as the top six but will likely go in the 7-12 range. in the lane. Will likely continue to move to the perimeter and should find a lot of success in today's NBA game. A fundamentally sound player who lacks explosiveness but has good offensive skills. 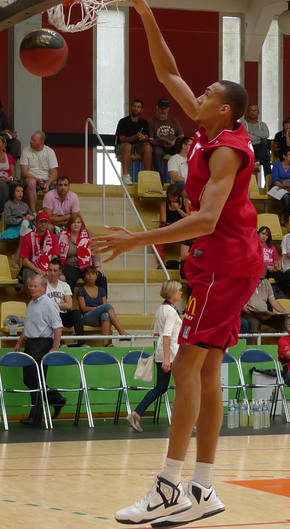 With his incredible height and length Gobert is a solid longterm project type player with nice potential upside. He has a lot of work to do on his ball skills, understanding of the game, defensive position and strength but due to his upside potential he should be drafted in the late lottery to mid first round. A very young and very talented prospect who could take a few years to develop but has as much upside as any player on this list. A very long, quick and athletic player who can take it coast to coast and finish above the rim. Keep an eye on Giannis! Lightening quick point guard who puts tremendous pressure on the opposing defense. A pass first player who has the tools to be a longtime NBA starter and difference maker. There is a rumor that the Celtics have promised to take Schroeder at 16 but they might have to trade up to get him. A solid and well built seven footer who still has a lot of learning and developing to do. Has great physical tools which should get him drafted in the 15-20 range of this draft. Needs to play with more urgency and passion but if he puts his mind to becoming a great player the sky's the limit. A vastly improved shot blocker and overall defender who is beginning to make an impact on the offensive end as well. A true rim protector who will get drafted in the mid first round due to that one NBA skill. A good glue guy and team player who will not be a flashy draft pick but could provide a lot of value in the middle of the first round. Active bodied forward who plays with all-out hustle and does all of the little things well. Excels on the fast break and gets a lot of garbage buckets. 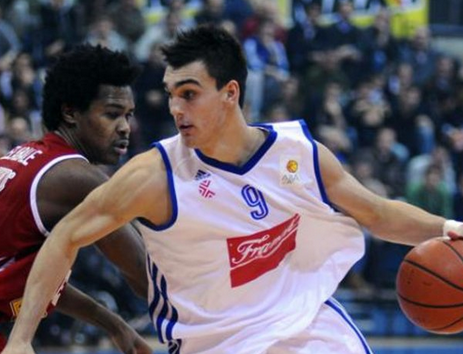 Long and quick player who projects as a very good NBA defender. Sweet shooting forward who can light it up from downtown. Might struggle on defense at the NBA level as he does not have top speed or quickness. Still, Karasev could be a late first round pick due to his offensive talents, especially his deadeye three point shooting. Skinny and quick seven footer who plays with good energy and runs the court very well. Could get overpowered by many centers but is still young and will add weight and strength.